The team of tailors at Caroline Andrew London have a broad vision, one that understands culture and people and transform that into design and suits. We have developed different fits and styles, so a client can have complete freedom of sartorial choice. During the initial consultation we discuss cloth and design along with the clients other requirements that we turn into the perfect bespoke garment. 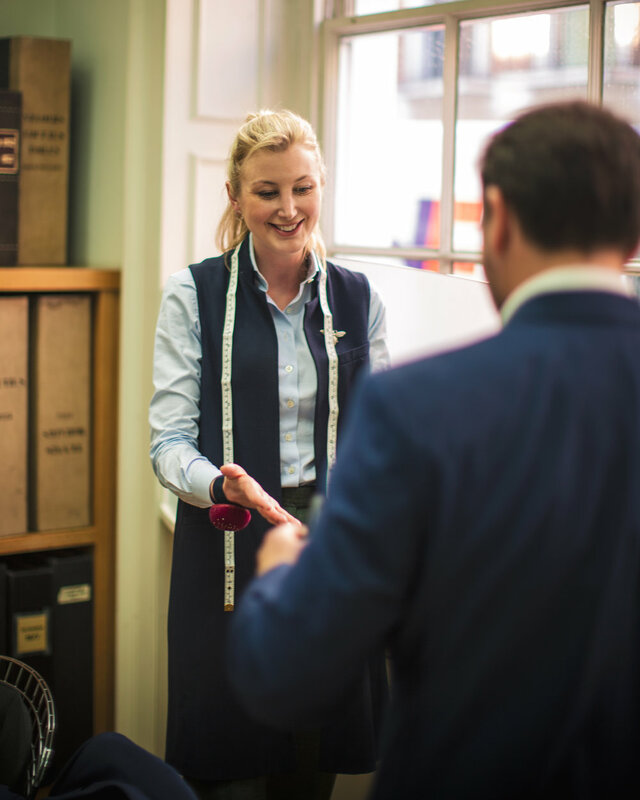 The team at Caroline Andrew London takes detailed measurements and guides the client through cloth selection and style consultation. 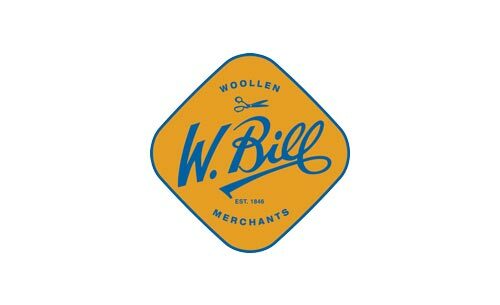 There is an endless choice of fabrics, we work in partnership with the best weavers from England and Italy. Every client has their own recorded paper pattern based on the initial set of measurements which is subsequently hand cut and refined through the fitting process. Aside from the pattern cutting, the canvassing is another crucial element in the process of creating our bespoke suits. Canvassing is the art of creating a horsehair hand stitched base that forms the shape of the client’s bespoke coat and will mould to their physique with wear. This floating canvassed base gives all our suits a natural feeling and comfort. The coatmaker will loosely stitch the fabric pieces together for your first fitting. The cutter then examines overall fit, takes notes and chalks the amendments onto the suit. Changes are recorded onto the clients master paper pattern. 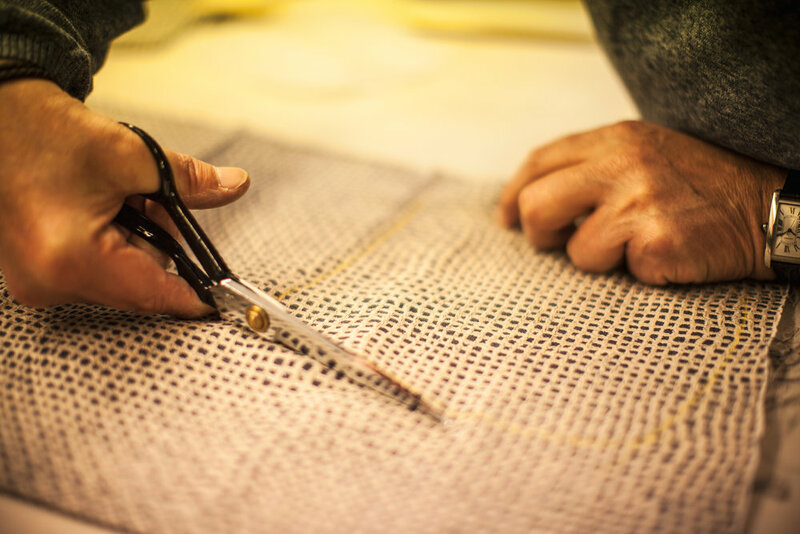 The garment is completely taken apart, re-cut and during second and sometimes third fittings further alterations are made to achieve the perfect fit. 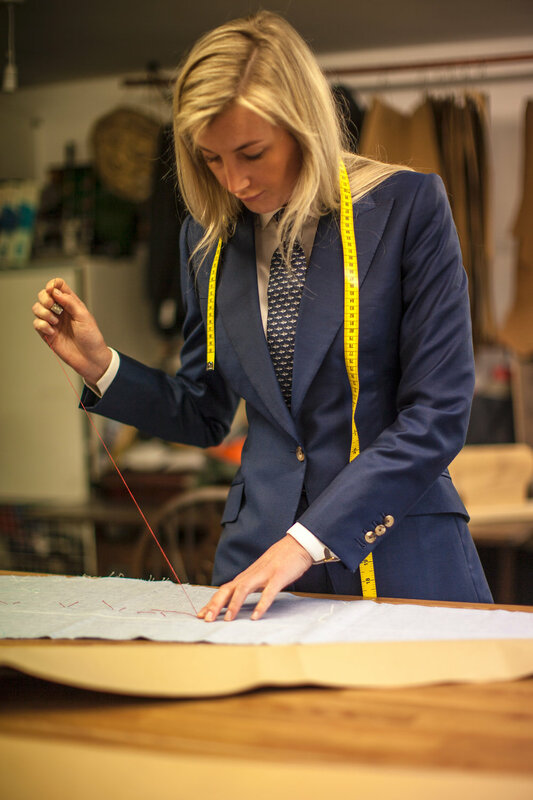 Caroline Andrew London bespoke suits take around 75 hours to complete over a period of 8-10 weeks. They are hand finished, complete with buttons and buttonholes strengthened with Beeswax adhering to long standing industry tradition. The suit goes through its final stage where the specially trained presser completes the process by moulding, steaming and pressing the suit into its final form ready for the customer.